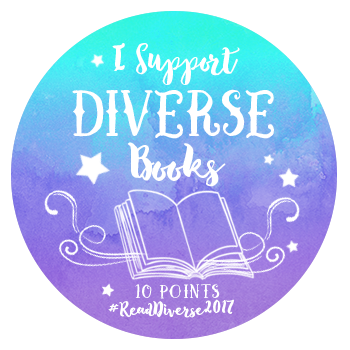 I am still taking a mini-hiatus through Sunday, but I decided to pop back to participate in Diversity Spotlight Thursday, for the first time. I am going to start participating in this meme more often, but it seems particularly important this week. I have read almost all of Adichie’s novels. This was my first, and remains my favorite. Published 10 years ago, Half of a Yellow Sun won the Orange Prize for Fiction in 2007, as well as the PEN Open Book Award, and the Anisfield-Wolf Book Award for fiction. 1960’s Nigeria is one of turmoil. This epic story follows the plight of Odenigbo, Olanna, and Ugwu, as they are caught in the middle of the Biafran War. Following discrimination and massacres against Igbo in northern Nigeria, the south-eastern provinces of Nigeria seceded to form their own nation of Biafra. What follows, both in history and in this novel, is a brutal civil war in which hundreds of thousands lose their homes, are forced to flee numerous times, and ultimately face starvation and disease. This is not a feel good novel. It is a novel about the realities of a post-colonial nation burdened by distinctions of class, race, and ethnicity. It is a novel about the horrors of war. It is a novel about death and destruction. That Chimamanda portrays such devastating topics with such depth, clarity, and compassion, is a sign of a masterpiece. And ultimately, in many ways, it is a story about love and survival. As a cis female, I have no idea what it feels like to be a transgender youth. What I do know is that every trans person I have met has faced incredible hardship and discrimination during both childhood and adulthood. This book, written from George’s perspective, gives readers a glimpse into understanding the frustrations, discrimination, and fear that a trans kid faces. I received this book via Netgalley, and I am really looking forward to reading it! I am very selective in what books I request on NetGalley, and there are a few things that attracted me to this one. First, they time travel to ancient Egypt – and I love the idea of a fantasy novel set in ancient Egypt! Additionally, the majority of characters, including the heroine, are PoC, which is sadly still rare in the fantasy genre. The Blazing Star will be published on December 6, 2016.